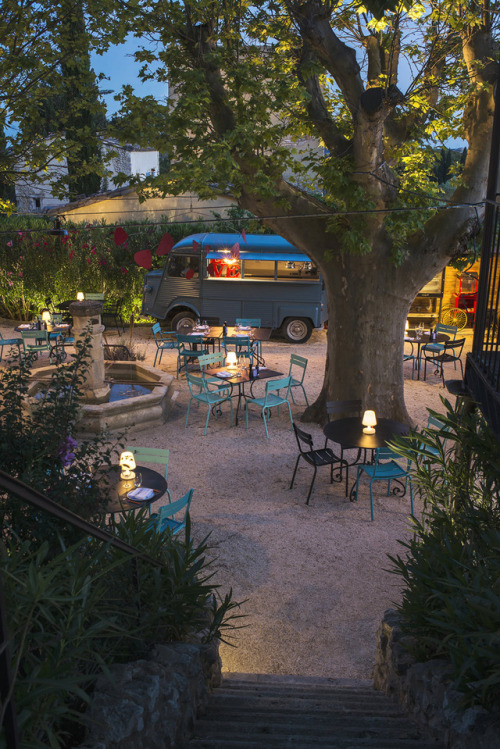 Hidden deep in the French countryside, this adorable vintage blue food truck offers delightful alfresco meals along with live music under towering Plane trees, in a typical Provençal square. 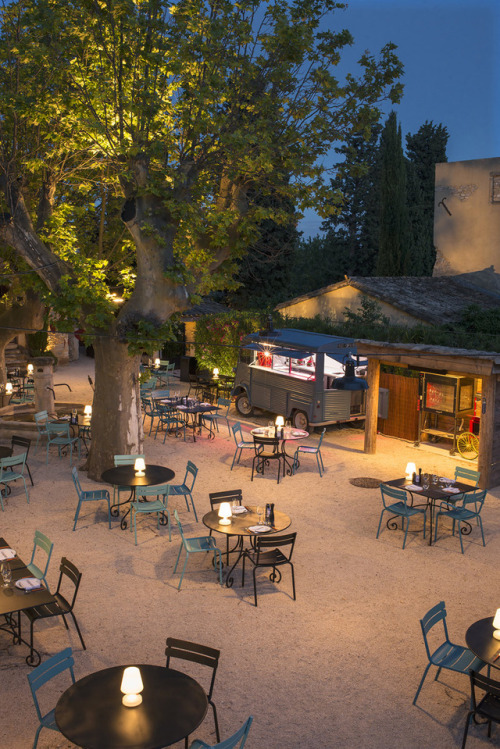 Available exclusively during the summer months, Le Camion Bleu du Hameau is an inspired addition to the enticing dining options at Hameau des Baux – an idyllic hotel modeled after a traditional village at the foot of the Alpilles Nature Reserve. The menu is classic bistro fare, with an innovative twist and a strong emphasis on fresh local ingredients and native wines, while the setting seems straight of Ridley Scott’s “A Good Year”. 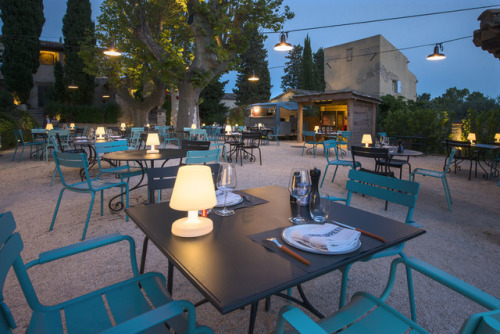 Surrounded by sun-dappled vineyards, olive groves, and fragrant lavender fields, this is the perfect place to experience the charmingly laidback lifestyle and culinary mastery of rural Southern France.